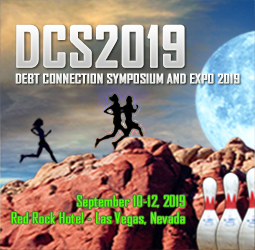 There is still time to register for the Debt Connection Symposium and Expo 2018 conference on September 5-7, 2018, in Austin, Texas. Here’s some highlights: Half-day Skip Session – People Locate and Asset Locate. Auto Finance Peer Group. Millennial Peer Group. Credit Union Peer Group. PWCI. Austin-style – “Meat and Greet” BBQ Poolside Welcome! Ask the Regulators! Great Debate! Best practices in Legal Outsourcing. PowerSports Finance Roundtable. Debt Settlement. Debt Sales Strategies. Prospective Buyer Featured Company Meeting. Machine language and AI’s role in today’s collection operations. Americans’ total credit card debt continues to climb, reaching an estimated $927 billion — a more than 5% increase from the previous year — according to a NerdWallet analysis. And the average household that’s carrying credit card debt has a balance of $15,482. Households with any kind of debt owe $134,058 (including mortgages), on average, the data analysis found. Xenophon Peters, a founding partner at Las Vegas-based law firm Peters and Associates, has seen a roughly 20 percent increase in bankruptcy filings in the last couple of years. He said a majority of bankruptcy filings in Las Vegas were mortgage-related only 10 years ago, but a new offender has emerged in the valley. Today, more than half the filings Peters sees are related to credit card debt. Quick analysis: Quick analysis: Summer Doldrums Continue (for Plaintiffs) With the exception of a minor (+1.6%) bump in FCRA claims, everything was down in July again. FDCPA and TCPA (-6.0%, -2.1% respectively) and CFPB complaints (-7.2%) all continued in their sluggish performance from June. WASHINGTON — U.S. Secretary of Education Betsy DeVos announced today more than $63 million in new federal assistance for 47 institutions of higher education under the Emergency Assistance to Institutions of Higher Education program. The program provides funding to institutions and their students in areas directly affected by Hurricanes Harvey, Irma, or Maria or the 2017 California wildfires. The Federal Trade Commission has announced FY 2019 fees for telemarketers accessing phone numbers on the National Do Not Call Registry. The annual fees will increase slightly from FY 2018 and are set forth in a Federal Register Notice. Follow the leader? When it comes to small business (SMB) cybersecurity, perhaps not. A new report form IT consulting firm Switchfast revealed the mistakes professionals make that expose their firms to cyber risks, with everyone from CEOs to entry-level employees making some missteps. Interestingly, though, in many cases, it’s the business leaders who are performing worse than employees when it comes to protecting business data. Private mortgage insurance continues to surge, seeing a significant increase in new mortgage insurance written in the second quarter. New business volume rose to about $80.3 billion in NIW in the second quarter of 2018, up a full 14% from the second quarter of 2017, according to a report from Moody’s Investor Services. Private mortgage insurance totaled $138.8 billion in the first half of 2018, also up 14% from last year. This represents the first time quarterly new business production has passed $80 billion since 2016, meaning the second quarter of 2018 hit a new post-crisis peak, according to the report. The federal official in charge of protecting student borrowers from predatory lending practices has stepped down. In a scathing resignation letter, Seth Frotman, who until now was the student loan ombudsman at the Consumer Financial Protection Bureau, says current leadership "has turned its back on young people and their financial futures." The letter was addressed to Mick Mulvaney, the bureau's acting director. Phoenix, Ariz. – August 24, 2018 BillingTree®, the leading payment technology provider, today announced the key findings of its 2018 Financial Services Operations and Technology Survey. The results from participants at small to large credit unions, banks and auto financiers show continued plans to adopt mobile and automated payment technologies, including payment via mobile apps, text, and interactive voice response (IVR). The opportunity for alternative credit and small dollar loans remains high with a market size that approaches $40 billion annually. To help these lenders better segment risk in an increasingly competitive market, TransUnion (NYSE: TRU) introduced today the CreditVision Link Short-Term Risk Score. T-Mobile revealed it shut down a data breach potentially exposing consumer information such as email addresses and phone numbers. The wireless carrier announced Friday their cybersecurity team had discovered and shut down an unauthorized source's access to information on Aug. 20. Join the Bureau of Consumer Financial Protection for a day-long symposium, Building a Bridge to Credit Visibility. This event will explore challenges many consumers face in accessing credit. Sessions also will highlight strategies and innovations to overcome barriers and expand consumer credit access. Facebook is again pushing the limits of user’s trust — both in the platform and its “renewed” commitment to privacy protection. The tech giant has been in discussions with major banks to make the case for a feature in their messaging app that would allow users to view bank account balances and be alerted to fraud — ultimately spending more time on the messaging platform. While Facebook is clearly desperate to bring new services to users following last month’s historic plummet in market value, they cannot escape criticisms of their invasive advertisements, and data misuse — the latter of which influenced one large U.S. bank to walk away from the offer. Washington (CNN)A fight is heating up over whether millions of consumer complaints against financial institutions should be made public. And consumer advocates are deeply worried about what comes next. PWCI – Network of Professional Women in the Collections and Call Centers Industries will hold a peer group meeting, “Three Keys to Developing Your Personal Brand”, on Wednesday – September 5, 2018 from 1:30 p.m. – 3:00 p.m. The PWCI meeting will feature an discussion on Personal Branding. This is an excellent opportunity to focus on the impact of your personal brand. Learn and share strategies to identify, develop and implement your personal brand. American banks just had their most profitable quarter ever. Again. Tax cuts helped drive bank profits to a record $60.2 billion in the second quarter, the FDIC says. That easily topped the $56 billion in profit that banks hauled in during the first quarter. Bank profits jumped 25% in the second quarter from a year earlier. More than half of that increase came from the tax law that President Donald Trump signed late last year, which lowered the corporate rate dramatically. (CUNA Press Release)- Washington, D.C. (August 23, 2018) – The Senate Banking committee voted in favor of Kathy Kraninger to become the permanent director of the Bureau of Consumer Financial Protection (BCFP). Kraninger, who currently serves in the Office of Management and Budget, was nominated by President Donald Trump in June to take the place of Acting Director Mick Mulvaney. August 21, 2018, Fairfield, NJ – Vertican Technologies, Inc. announced today that Mark J. Cavin will be joining the company as VP of Business Development. Cavin has over 35 years of financial industry experience and an extensive background in consumer, student, and commercial loan collections. He has led internal bank operations, collection agency and law firm operations, and debt purchasing and servicing. Produced by Resource Management Services, Inc.